Edward was born in New Haven, Connecticut and raised in Woodbridge where he attended Amity Regional Senior High School. He went on to study criminal justice at Northeastern University in Boston where he earned a Bachelor of Science degree in 1993. Edward returned to Connecticut and secured a position as clerk at the New Haven Superior Court. While working at the courthouse he earned his law degree evenings from Quinnipiac University School of Law. He is a proud season ticket holder for Quinnipiac University Men’s Hockey and Basketball. Edward was a trial attorney for Allstate Insurance Company where he received rigorous litigation training and experience. He was able to see how big insurance companies handle automobile accident claims. 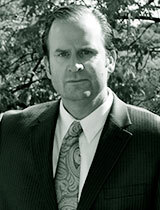 In 2001, Edward joined Jacobs, Grudberg, Belt, Dow & Katz P.C. in New Haven, where he fought hard for injured clients for almost eight years. Edward has tried dozens of cases before a jury. Every year Edward holds a fundraiser for his favorite organization, The Hole in the Wall Gang Camp. The camp, located in Ashford, Connecticut, was created for children with serious illnesses and it provides a magical getaway and priceless memories. The camp serves the children and their families year-round to help them cope with the various illnesses and treatment.